Daily Slideshow: LC drop-top concept revealed at 2019 NAIAS in Detroit will have you see, feel, hear, and smell luxury performance. 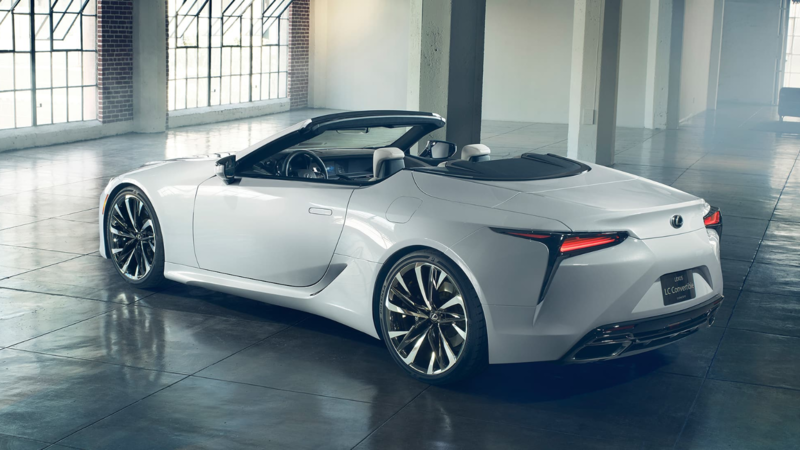 Drawing from the brand's evolutionary design cues of the LC coupe, Lexus has unveiled a drop-top roadster concept at the 2019 North American International Auto Show in Detroit. The concept was met with an overwhelmingly positive response from the automotive design world. 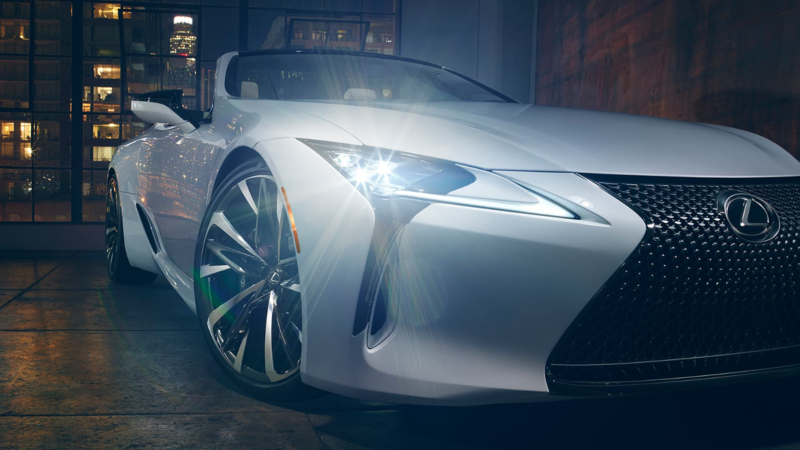 The premiere of the Lexus LC Convertible Concept showcases sweeping sensual lines from all angles. 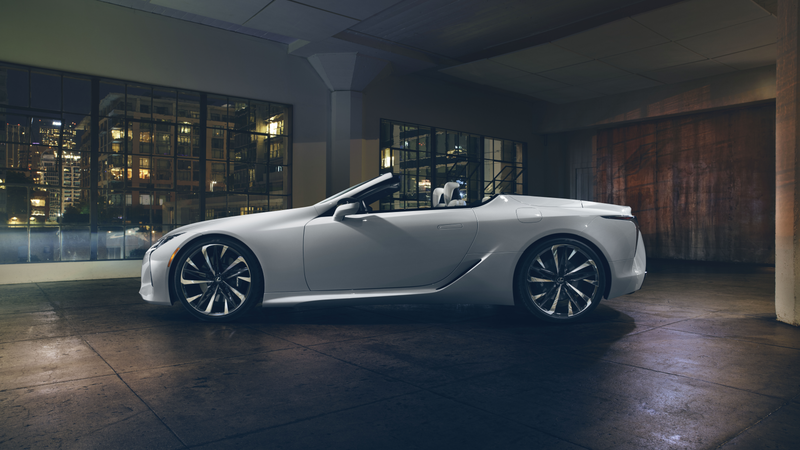 Viewers can see, feel, and hear the luxury performance of this LC Convertible Concept. It may be a bit before this concept reaches production, but here's how the Lexus team designed a concept worth tingling your senses. 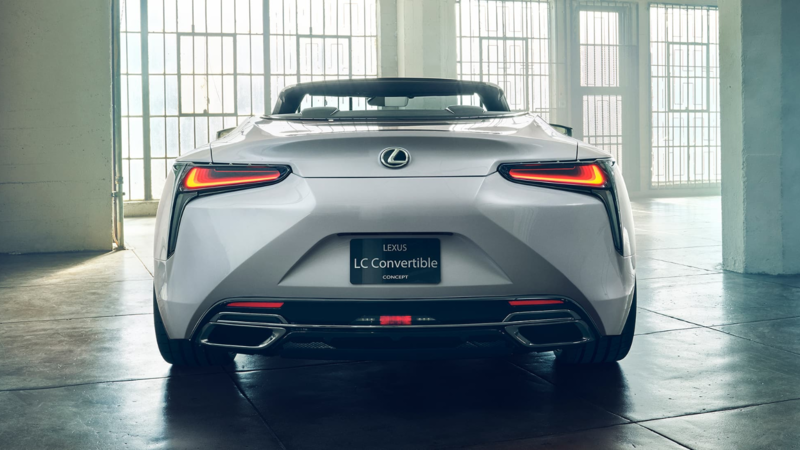 Lexus designers noted the goal for the LC Convertible Concept was to express "ultimate beauty." At the front of this performance grand tourer, the diamond-sharp LED headlights draw your eyes around the 22-inch wheels, down along its low-slung, frameless doors with hidden door handles, past the cooling vents placed ahead of the rear wheels and back past its wide stance rear end. Tadao Mori, Chief Designer of the LC Convertible Concept states, “It blends all the best aspects of the original coupe with the dynamic design of an open-air convertible.” At 187.8 inches long, 75.6 inches wide and a wheelbase of 113 inches, the LC Convertible Concept perches Lexus on a commanding, luxurious, peak. >>Join the conversation about the Lexus LC convertible concept right here in the ClubLexus forum. Lexus designers promise the cabin of the LC Convertible Concept caters to every need. The theme of lines continues inside, drawing passengers attention from their seats to the dash and the minimalistic center stack. The perforated, white leather seats appear ready to gently hug passengers securely through turning, acceleration, and stopping at peak comfort levels. If the convertible is anything like the coupe, a full suite of Lexus convenience and safety technology immerse riders in a premium driving experience. Lexus designers note the LC Convertible Concept "blends unique Japanese aesthetics with the promise of sensory satisfaction that only a convertible can provide." From the outside, the LC Convertible Concept graces the road (or floor, in this case) with a stunning balance of luxury and performance. When the door opens, luxury envelopes riders with soft leather and luscious seating. Assuming the LC Convertible Concept offers the same naturally aspirated V8 found in the LC coupe, nothing but performance will pump out of the dual exhaust pipes in the back (green buyers also get a dual exhaust for the V6 equipped LC hybrid model). The addition of an LC drop-top model to the Lexus lineup is the ultimate bridge for man, machine, and nature. The LC Convertible Concept evokes several sensory responses. Someone out there might find pleasure in the taste of the car, but we'll stop at the smell!! The LC coupe offers two powertrains, a V6 hybrid and a naturally aspirated V8. The V6 hybrid powertrain offers a combined 354 HP. For those more attracted to traditional raw power, the 5.0-liter V8 throws down 471 hp. Either powertrain is capable of filling the air with the sweet smell of burning rubber. With the Lexus LC in convertible configuration, you will see, feel, hear, and smell everything you need to know about true luxury performance.